Published: Dec. 2, 2013 at 04:14 a.m.
(10:57) W.McGahee right guard for 1 yard, TOUCHDOWN. Published: Dec. 1, 2013 at 01:29 p.m.
Cleveland Browns running back Willis McGahee powers it in for a 1-yard touchdown run against the Jacksonville Jaguars. Published: Oct. 3, 2013 at 09:48 p.m.
Cleveland Browns running back Willis McGahee pushes for a 1-yard touchdown. 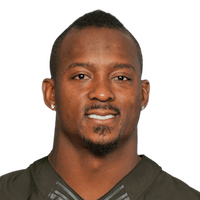 Published: Nov. 17, 2009 at 03:40 a.m.
(:26) W.McGahee left guard to CLV 35 for 2 yards (B.Pool).